Drivers around the world love cheap gas prices, but some top hedge fund managers don't. They're losing billions. Carl Icahn and David Einhorn have bet big on energy. It's been a costly mistake so far. Oil was trading at over $100 a barrel last summer. Now it goes for barely above $42 a barrel. The tumble in oil prices has taken many energy stocks with it. Profits too have plummeted over 50% at Exxon Mobil (XOM) and Chevron (CVX) this summer compared to a year ago. Even Warren Buffett, who likes to buy when there's blood in the streets, has mostly exited energy. He sold out of Phillips 66 (PSX) and National Oilwell Varco (NOV) stocks entirely in the second quarter, according to the latest disclosures. 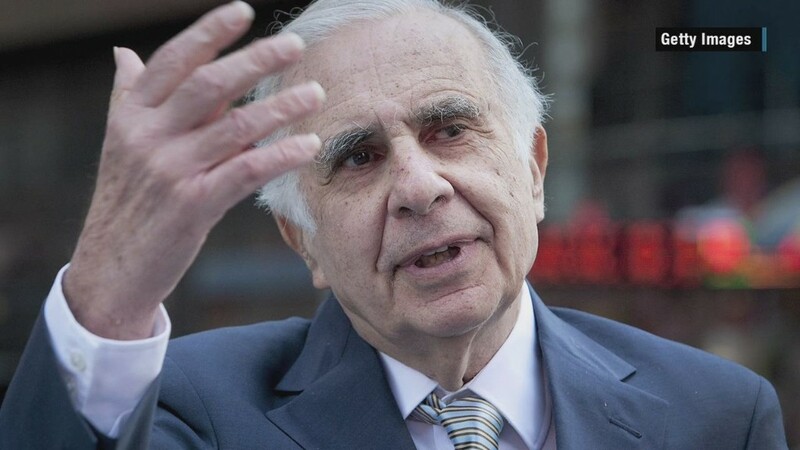 But Icahn, who Donald Trump says would make a great Treasury Secretary, is still holding on. As is Einhorn who runs Greenlight Capital. They believe some companies are severely undervalued and the stocks will spike when oil rebounds. "One of the truths I've discovered is these guys tend to do pretty contrarian stuff," says Mazin Jadallah, founder and CEO of AlphaClone, a research and investment firm that tracks 500 hedge funds. Einhorn's fund is down about 12% in the past year, according to iBillionaire, which tracks hedge fund performance. That's a loss of about $1 billion. It's mostly the result of Einhorn's large stake in Consol Energy (CNX), the Pittsburgh-based natural gas and coal company. The stock has lost over 65% of its value in the past year, but Einhorn believes it will double. Icahn's fund has taken an even bloodier hit. It's down over 22% in the past year, according to iBillionaire. That's a loss of about $9 billion in value. He is a big holder of CVR Energy (CVI), Chesapeake Energy (CHK) and Transocean (RIG). Natural gas company Chesapeake has fallen 70% in the past year and offshore drilling company Transocean is down 65%. But fortunes can change quickly. While most Wall Street experts predict that prices will stay low, oil could rally quickly if China's slowdown doesn't turn out to be as deep or long as people fear. "The last time I heard this many people so bearish on oil, we rallied $20 a barrel," says Phil Flynn, a senior energy analyst at the Price Futures Group in Chicago. He thinks Einhorn and Icahn may turn out to be right. Even with China's slowdown, he notes that the country's oil exports are on track to hit a record level this year. That may explain why companies like CVR Energy are starting to bounce. The company, which does both oil refining and fertilizer production, is up over 10% in 2015. Overall though, top hedge fund managers aren't scooping up oil stocks. They're doing the opposite: they are buying companies that will benefit from many more months of cheap oil. "The bearishness isn't over yet," says Raul Moreno, CEO and co-founder of iBillionaire. Moreno points out that top notch investors like Bill Ackman of Pershing Square, David Tepper of Appaloosa Management and Chase Coleman of Tiger Global have no positions in energy right now. Coleman of Tiger Global has been buying stocks like Amazon (AMZN) and TripAdvisor (TRIP) that should benefit from inexpensive shipping costs and travel spending from people who have more money in their pocket from lower price of gas. Tepper appears to be thinking along similar lines. He increased his stakes in JetBlue (JBLU) and GM (GM) in the second quarter.